The first Vespa Tour in Campania! 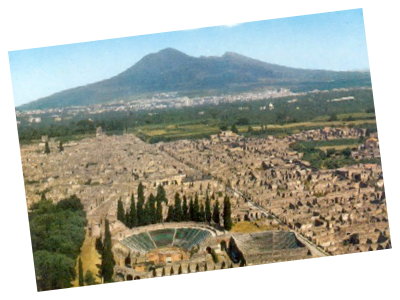 Pompeii lies about 13 miles southeast of Naples. This ancient Roman town was buried in 79 ad when Mt. Vesuvius (a still-active volcano) erupted. Pompeii is considered to be one of the few sites where an ancient city has been preserved in detail. 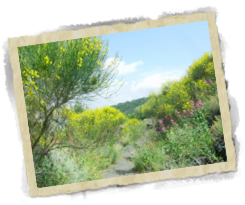 It is a walking site where strolling around with our archaeologist-guide you’ll have the sense to be in a still alive ancient roman city. 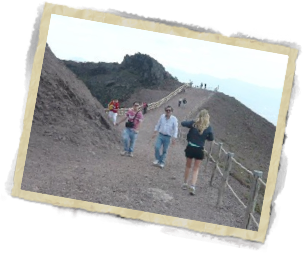 Mount Vesuvius is best known for its eruption in Roman times described by Pliny the younger, when Pompeii and Herculaneum were engulfed. 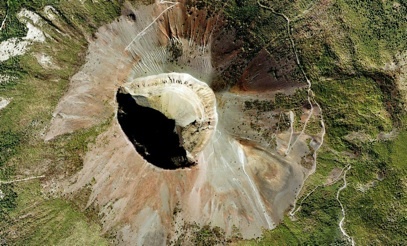 The eruption left a large crater that can still be visited today. 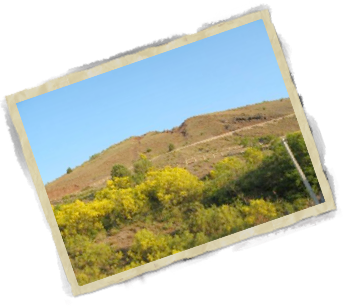 It is a currently latent volcano whose last eruption happened in the 1944. At the top of the volcano is a crater rim that affords a view into the crater that still fumes slightly. Besides that you will have a stunning panorama overseeing the Bay of Naples, Capri, Ischia, the edge of the Sorrento coast and more. Everyone has to walk up the last 500m steeply uphill. Closed-in shoes are essential. Pompeii: Forum markets, thermal baths, plaster casts, brothel, bakery, Faun’s house, temples, frescoes and much more..
Vesuvius: crater, different lava stones, the scarred landscape where the 1944 lava streams went downhill, The remains of the funicular railway built in 1870 (The song Funiculì, Funicula’ was written to commemorate the opening of the railway) and overall a stunning panorama. We organize guided tours for singles, couples and groups on modern or vintage vespas!